Welcome to The Big Conversation Company. We bring strategy to life by helping companies engage their people around their strategy. We help improve sales, profits, customer service, innovation, and we help reduce costs and inefficiency. Our approach is award winning and is designed to help people want to perform. Download our White Paper to discover how the process works. We engage leaders and their teams in the creation and use of big pictures. We stimulate hundreds of conversations about strategy and performance. We measure and track the impact of our work on awareness, understanding and engagement. We also design and facilitate big conversations to explore issues and develop solutions involving multiple stakeholders. To see us talking about The Big Conversation, visit our YouTube channel. 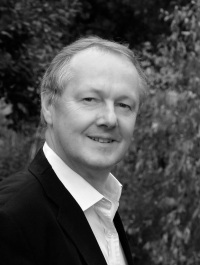 Mike Pounsford is the founder and leader of The Big Conversation Company. He works with an associate team of 30 people with communication and engagement skills. Mike has an MBA from London Business School, and has also worked for the School’s Centre for Management Development. He is accredited under the NTL Organisation Development programme and is the Head of Development for the UK Chapter of the International Association of Business Communicators.